The surest way to know what bartenders want is to be a bartender. 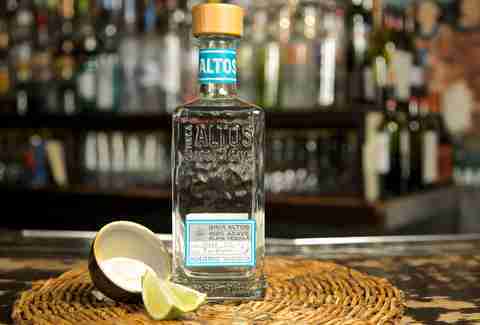 A relative rarity in the booze game, Altos was the brainchild of two men who served serious time behind the stick: the late Henry Besant and Dre Masso, Englishmen who started their illustrious careers at the tender ages of 16 and 18 respectively (it’s Europe, people). A veteran of Ian Schrager hotel bars, Besant had elevated London’s legendary Lonsdale to the heights of cocktail fame when he partnered with Masso on Green & Red, a beloved Shoreditch pub that instead of ales focused on spreading the gospel of agave to London -- where tequila was still, according to Besant, a spirit that “most people hate”. Besant, the only bar operator to ever win back-to-back Time Out Bar of the Year awards, and Masso, a UK Bartender of the Year three times running, also collaborated on Margarita Rocks, a book stuffed with 70+ recipes. The next obvious step for the two was to either conquer another spirit (Rum Rocks? ), or take the plunge and make their own tequila with the quality they wanted, and the price point they needed. Besant and Masso set up shop in Jalisco, fully immersing themselves in the ways, whys, and means of cultivation and production, and coming to understand the land whose particularities, just like the wine regions of France, would dictate the characteristics of their spirit. 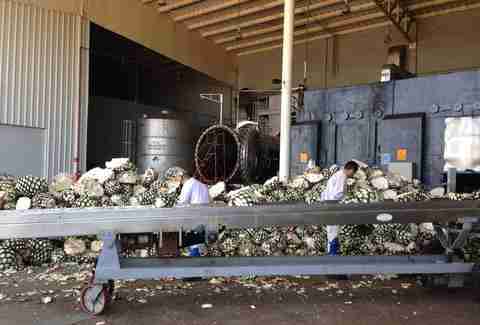 On and off for three years they studied the soil, climate, water, and terrain that influence agave plants over their 6-8 year maturation. The duo soon narrowed their sights on the highlands region. Whereas lowland agave tends to be dark, earthy, and vegetal, the microclimate of the highlands, with its cool nights, warm days, heavy precipitation, and iron oxide rich soil produces agave that’s bright, spicy, and citrusy -- a profile they figured could stand up to and shine through whatever ingredients today’s compulsively inventive bartenders threw at it. Besant and Masso’s search for a highlands distillery to partner with led them to Olmeca, located in Los Altos, 6903ft above sea level. The nearly 50-year-old operation not only had the right land, but they also employed traditional production methods still used by only a handful of modern distilleries. Those prized methods posed an issue though. To truly be a boon to bartenders, the pair’s tequila had to be both mixable, and affordable. 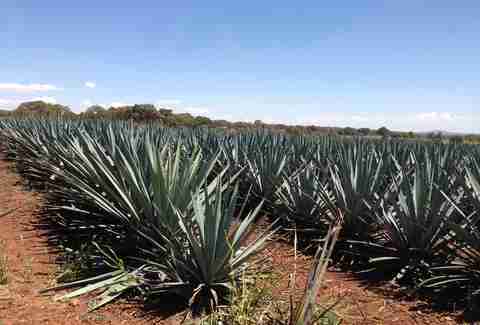 They already knew they wanted their product to be 100% blue agave, a far more expensive option than “mixto”, a popular style amongst rail tequilas that blends agave with other assorted sugars, and often undergoes hurried production and aging methods (diffusers! autoclaves!) that compromise its profile. 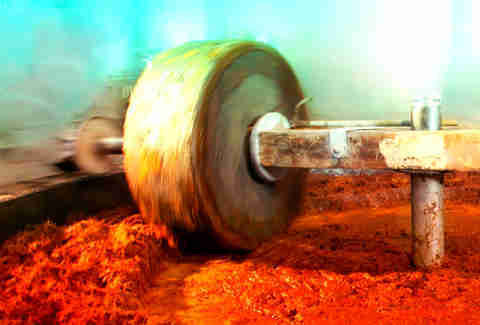 Making their tequila exclusively using ancient equipment like a two-ton tahona stone -- which manually crushes agave fibers before fermentation to ensure a rich, velvety finish -- would only add to the expense. Undaunted, Besant and Masso worked directly with Jesús Hernández, Olmeca’s master distiller, to perfect a process involving both the tahona and the more modern roller mill, ultimately producing a top shelf tequila priced for the bottom shelf. 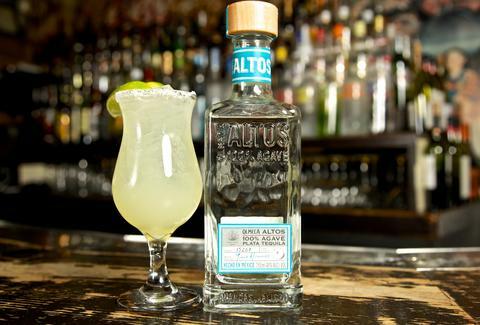 Altos is the only tequila in Olmeca’s portfolio that uses this hybrid, and it’s the reason your next Tequila Daisy won’t prevent you from sending your kids to college. Another aspect of the production technique also impressed Hoard: unusually for the industry, the tequila is fermented with the pulp and fibers from the crushed plants, resulting in a fully formed agave flavor ready to step into the glass with everything from pineapple to allspice. The bottle’s long neck and tactile design were also engineered to make pulling it from the backbar or the rail as natural as possible. The project might have taken the two bartenders years to develop, but in the end, it comes down to getting customers a solid cocktail, fast. Pull that off, and a tequila’s destiny’s all but assured.